Known as a tax haven, Seychelles is a preferred business destination for investors who want to improve their businesses by making the tax planning more effective and protecting the assets. In this matter, an offshore company in Seychelles can be useful, and a suggested form of business for international entrepreneurs is setting IBC (International Business Company) offshore in Seychelles. As a general definition, the offshore company is a business created with the purpose of completing various types of activities outside the country it is registered in. In Seychelles, the offshore company represents the best way of protecting one’s personal assets. In order to be considered an offshore company, the founders must establish this in the Articles of Association. Our specialists in company formation in Seychelles can provide you with the necessary information and details about how to register an offshore company in Seychelles and the conditions in this matter. 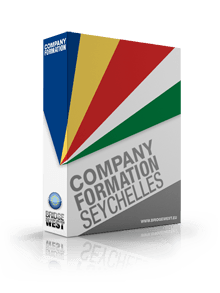 We can also offer specialized company formation services to foreigners looking to set up Seychelles offshore companies. The main law governing the establishment of offshore companies in Seychelles is the International Business Company Law which was last amended in 2016. The name of the law also offers the other name of the offshore company – that of the International Business Company, or IBC. Another law which provides for the establishment of offshore companies is the Seychelles Commercial Code which provides for the legal forms which can be registered as IBC companies. The anonymous company is the best example when it comes to a business form which can be used by a foreigner looking to establish an offshore company in Seychelles. The IBC Act provides for the requirements which must be fulfilled in order to set up an offshore company in Seychelles. These requirements imply having at least one shareholder and one director. There are no restrictions related to the nationality of any of the shareholders and directors. Moreover, the director does not need to be a Seychelles resident. Also, the company can have as many directors as the shareholders want. Corporate directors can also be used for ensuring the management of the offshore company. One of the shareholders can act as a company director. Compared to other types of companies, the Seychelles IBC company does not require a secretary. The offshore company will need a trade name which can be in any language, however, as a useful tip, most of the times English is used for company names in Seychelles. Another important requirement for setting up an offshore company is having a registered or legal address in Seychelles. This can be ensured through a virtual office. Our company registration specialists in Seychelles can offer virtual office, as well as nominee services related to the shareholders and company directors. - in certain cases, the Registrar could request references from a bank showing the good standing of the investor. Our local agents can help with the preparation of the documents needed to register the IBC company. Even if the requirements related to the registration of an offshore company are quite relaxed, there are also a few restrictions imposed on those who want to set up such an entity. Among these, the most important one is related to not being allowed to complete any commercial activity in Seychelles. It should be noted that such restriction is imposed no matter the country where the company is created. The offshore company cannot buy any residential or commercial property in Seychelles and cannot operate in the financial sector. Offshore companies cannot be established with the purpose of completing gambling activities. For such activities, onshore companies must be registered with the Companies House in Seychelles. Another important restriction that needs to be mentioned is that offshore companies cannot issue bearer shares. Despite these restrictions, offshore companies in Seychelles are allowed to enter any type of activity and partnership with local companies. We can help foreign investors who are interested in establishing other types of companies in Seychelles. The financial sector in Seychelles is a very appreciated one and businessmen can open offshore companies in Seychelles without having to pay any taxes. The island state is stable and trustworthy, as there are many offshore companies registered here. Through an offshore company in Seychelles, an investor can protect his/her assets, and furthermore, he/she can benefit from varied financial tools to develop the potential and the wealth of the company. We mention that each offshore company in Seychelles is subject to complete privacy and there are no risks regarding the assets, as such entities are protected through a complete and modern legal system implemented in Seychelles. The entrepreneurs can also appoint the board directors for their offshore companies in Seychelles, for a better control of the finances and possessions. If you are interested in opening an offshore company in Seychelles, our team of specialists in company incorporation in Seychelles are able to provide you with complete support in this matter when drafting the documents for any type of company you are interested in. accounting services are also available at the request of our clients. In order to register the company on our clients’ behalf, our company registration advisors in Seychelles will need a power of attorney. Foreign investors who open offshore companies in Seychelles are allowed to hire local workers, however, they can also bring employees from their home country by obtaining work permits on their behalf. The employment procedure is not complicated and can be completed in maximum one month, no matter the residency status of the employees. Our company formation representatives in Seychelles can guide foreign investors through the whole procedure of setting up offshore companies. From the preparation of the documentation related to registering the company and nominee services, we can help them set up the company in the minimum period of time possible. Why is Seychelles an attractive jurisdiction? Seychelles archipelago is a preferred offshore jurisdiction due to its attractive financial sector and business environment which suit the needs of numerous investors worldwide. Because there are no taxes for opening offshore companies in Seychelles and due to complete privacy and protection of the assets, more than 100,000 firms are registered in the country. Offshore companies in Seychelles are also protected in cases of litigation. One should know that the company registration process of an offshore company in Seychelles is less time consuming and can be done in a few working days. For those wondering how long it takes to set up an offshore company in Seychelles, the answer is that it takes 1 or 2 days to be completed, however, the opening of the bank account can take longer. If you have any questions related to the requirements related to creating an offshore company or if you simply need assistance in starting on, our agents in Seychelles are here to offer specialized assistance. For complete information about how to set up an offshore company in Seychelles, we invite you to contact our representatives in company incorporation in Seychelles.